"The oloid is one of the only known objects, along with some members of the sphericon family, that while rolling, develops its entire surface." Link to video of oloid rolling. Link to video of sphericon rolling. Q1. The phrasing of the Wikipedia sentence quoted above seems to allow the interpretation that it is unknown if there are other objects with the same rolling property. Is this the case? Or is there a proof that these are the only such objects? Q2. Does anyone know where I can find a proof of this rolling property for either of these objects? Here is a more general construction, which contains both the sphericon and the oloid as particular cases. Take two intersecting planes, $\alpha$ and $\beta$. Take two compact convex regions $A\subset\alpha$ and $B\subset\beta$. Make sure that $A$ is split in two non-empty regions by the plane $\beta$, and $B$ by the plane $\alpha$. Let $a=A\cap\beta$, and $b=B\cap\alpha$. Both sets $a-b$ and $b-a$ are nonempty. The desired object is the convex hull of the union of the two planar convex regions, $A\cup B$. Let $S$ be its boundary. Of course, because we the convex hull, in condition 2 we can drop the condition that the two planar regions are convex, but this doesn't increase generality. Let $\partial A$ be the boundary of $A$ in the plane $\alpha$, and $\partial B$ the boundary of $B$ in the plane $\beta$. A. Condition 3 implies that for any point $P$ on $\partial A$, there are two points $Q_1$ and $Q_2$ on $\partial B$, which are separated by the plane $\alpha$, hence the segments $PQ_1$ and $PQ_2$ are also separated by $\alpha$. This also holds for $B$. B. From A, follows that if $P\in\partial A\cap S$, there are two points $Q_1,Q_2\in\partial B\cap S$, so that the segments $PQ_1,PQ_2\subset S$. C. From condition 3, and remarks A and B, and the definition of convex hull, it follows that $S$ is the union of segments $PQ$, where $P\in\partial A\cap S$, and $Q\in\partial B\cap S$. If both $P$ and $Q$ would belong to $\partial A\cap S$, then by condition 3, the segment $PQ$ would be in the interior of the convex hull, so we can rule this possibility out. D. From condition 4, $\partial A\cap S$ and $\partial B\cap S$ are open curves. E. From D, and since the curves $\partial A\cap S$ and $\partial B\cap S$ don't intersect, the surface $S-(\partial A\cup\partial B)$ is connected. F. By using my answer to another question, When is the hull of a space curve composed of developable patches?, the surface $S$ is made of developable patches. To apply that result, join the two open curves $\partial A\cap S$ and $\partial B\cap S$ by two curves which lie on $S$, so that the union is not self-intersected. G. From C, E and F, the surface $S-PQ$ is developable, where $PQ$ is as in C.
H. During complete rolling cycle, the curve $\partial A\cap S$ is covered twice, once from one end to the other on one side, and once back, but on the other side. Similarly for $\partial B\cap S$. Therefore, $S$ has the property that, when rolling, it develops its entire surface. For both the sphericon and the oloid, we take $\alpha\perp\beta$. For oloid, take $A$ and $B$ two disks, so that each disk has its center on the boundary of the other disk. For sphericon, take $A$ and $B$ two identical hemidisks, each being symmetric w.r.t. $\alpha\cap\beta$, and so that their centers coincide with their intersection. The generalization made by Manfred Weis in his comment is also included here. It is easy to morph the oloid and the sphericon. Take $A',B'$ two identical disks, each being symmetric w.r.t. $\alpha\cap\beta$. Take a plane $\gamma$ through their mass center, perpendicular on $\alpha$ and $\beta$. Cut the circles by $\gamma$, and take $A$ as the part of $A'$ which contains the center of $A'$, and similarly for $B$. It is easy to see that the oloid and sphericon are particular cases of this construction, and by varying the distance between the centers of the disks, we can morph one into the other. Q1. No, the sphericon and the oloid are not unique with these properties, there is an infinity of such objects. Perhaps not many were known. Q2. In this answer, hopefully. If the curves $\partial A\cap S$ and $\partial B\cap S$ are line segments, we obtain a tetrahedron. If they are each made of two segments, they can be chosen so that we get an octahedron. In general, a convex polyhedron whose faces admit a Hamiltonian path, can be rolled so that it develops its entire surface, but is not necessarily obtained by the method I proposed. One may want to rule out such cases, in which, after the rolling starts, the rolling is not unique, hence for which the contact between the object and the plane surface on which it is rolled is a (sur)face. One may want that at any point, the contact is along a segment. In this case, we have to add the condition that the curves $\partial A\cap S$ and $\partial B\cap S$ don't contain line segments. Not the answer you're looking for? Browse other questions tagged reference-request dg.differential-geometry mg.metric-geometry classical-mechanics or ask your own question. When is the convex hull of two space curves the union of lines? Is there a sideways-walking rolling convex body? When is the hull of a space curve composed of developable patches? 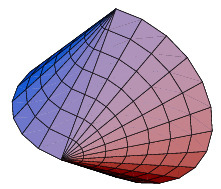 Which convex bodies roll along closed geodesics? 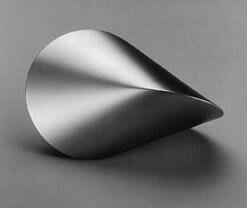 Is there a convex three-dimensional body with constant width and only finitely-many equilibria? Or: do spheroform gömböcök exist?